If you haven’t been yet, the Wilmington and Brandywine Valley region is a beautiful place to visit any time of the year. Located less than two and a half hours from both New York and Washington, this area offers a chance for a less expensive weekend away without sacrificing a fun or relaxing experience. Shopping in Wilmington is especially fun because shopping in the state of Delaware is always tax-free! The same applies for dining and entertainment. 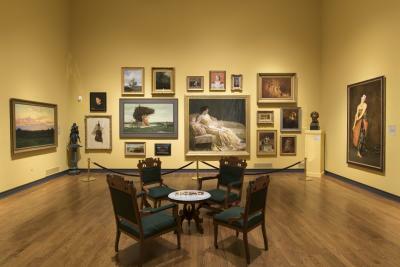 Plus Wilmington and the Brandywine Valley&apos;s amazing museums, attractions, gardens and restaurants offer something for all interests from the world-renowned Longwood Gardens to du Pont family mansions at Nemours Estate, Winterthur Museum and Hagley Museum and so much more. So, get in the car, buckle up, and head on over this weekend. Because in addition to the usual fun things, we’ve rounded up a list of six extra special things to do in Wilmington, DE. Did you know: OperaDelaware is actually the 11th oldest opera company in the country! But not to worry, because they’re keeping things fresh and lively with their 2018 Festival. Located at the Grand Opera House, the 2018 festival will be a celebration of the 100th anniversary of Puccini’s beloved Il Trittico - with their own little twist, of course. Come see a half dozen one-acts from Puccini masterpieces, plus a Puccini-inspired extra. That’s seven glorious one-acts over two weekends. Get your tickets early, and tell your friends! If you’re anything like us, then food is never very far from your mind. Which is why we’re happy to announce that we’re playing host to the Meals on Wheels Celebrity Chef’s Brunch! 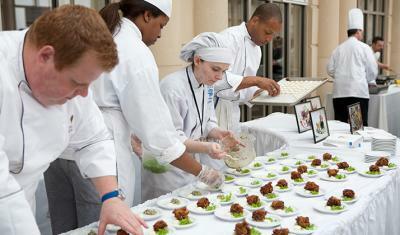 At our 20th annual brunch, enjoy the indulgent taste of truly gourmet cuisine. Prepared by renowned chefs, the food is paired with fine wines and delicious brunch cocktails. And best of all? It’s all in support of a good cause, helping Delaware’s homebound seniors. If you love history, drinking, and gardens, this is where your worlds collide. 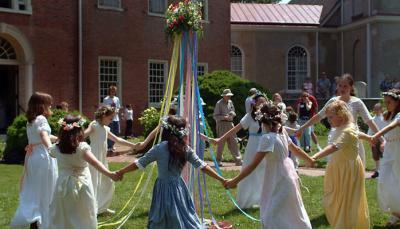 A Day in Old New Castle is the oldest continually operating house and garden tour in the USA. At 93 years young, you get to enjoy a themed event, featuring Taverns, Taprooms, and Tippling Houses. Plus, there’s even a Beer Garden! How does a day of elite horse racing sound? 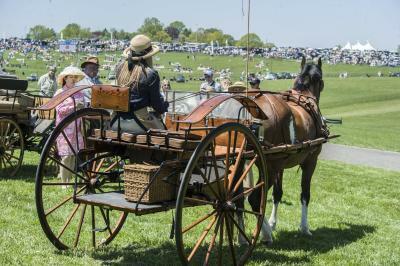 Well, Point-to-Point at Winterthur, also known as Delaware’s Derby, is celebrating its 40th anniversary, and will be jam-packed with activities for the whole family. Come to compete in a lavish tailgating competition or visit the beautiful hospitality tents. Either way, bring your appetite for this day-long event. You may even spot a celebrity or two. Martha Stewart among others are frequent visitors to the event. Price: Adult general admission is $40 until April 27, and then $60 after that. Children ages 12-20 are $25 and children under 12 are free. 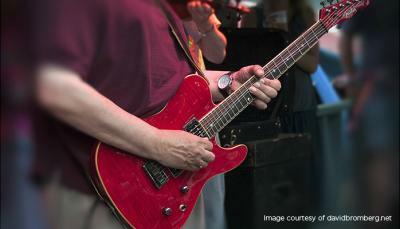 Get ready for the Mid-Atlantic’s premier Americana festival. Bromberg’s Big Noise Music Festival, at the Tubman Garrett Riverfront Park is always a lot of fun. That’s because Wilmington is where David Bromberg calls home, and he wants to make you feel like you’re at home, too. Besides great music, look for some of Wilmington’s best food trucks. There will also be a wide variety of artisan merchants from around the country. Chill out at the beer garden, enjoy wine and spirits in the grove, or dive into the food trucks and walk among the craft vendors. This is one festival you won’t want to miss! Price: Tickets start at $28, with 2-day combo general admission tickets for $60. We promise we’ll get our mind off food soon, but this exciting event is too good to pass up. 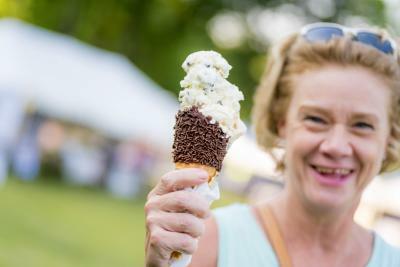 The New Castle County Ice Cream Festival at Rockwood is an experience your entire family will enjoy. Why? Because you don’t have to be a child to enjoy some truly outstanding ice cream! And that’s not all. This annual festival will feature all kinds of other mouth-watering foods, along with entertainment like live music, crafters, and activities for children and adults. Nemours/Alfred I. duPont Hospital for Children. Price: Admission is $5 and children 12 and under free! If you’re looking for a weekend escape, experience something new and unexpected in Wilmington and the Brandywine Valley! We’ve got an exciting variety of offerings to appeal to all interests. Learn more about Wilmington and the Brandywine Valley with our FREE Visitors Guide or subscribe to our monthly e-newsletter for events, specials and things to do.